Mr. Rucker is a graduate of Gonzaga University and joined the company in 1999 as a project manager within the Y2K team. Previously, he was enlisted in the Navy and is a veteran of both Operation Desert Shield/Storm and Restore Hope. Shortly after Tideworks was formed, Mr. Rucker was expatriated to the Republic of Panama where he oversaw IT operations of the largest container terminal in Latin America, Manzanillo International Terminal – Panama, S.A. In 2003, after SSA Marine purchased the other half of a joint venture in Mexico, he was promoted to regional director of Latin America where he oversaw IT Operations throughout Latin America. 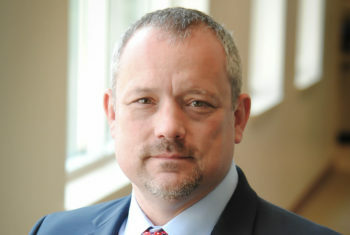 In 2006, he returned to Seattle and held the position of vice president of Products and Professional Services for Tideworks Technology for six years. Mr. Rucker once more returned to Panama as vice president of Operations at Manzanillo International Terminal for five years. In September of 2017, he was promoted to president of Tideworks Technology and assumed responsibility for the ongoing development of Tideworks as a major provider and integrator of software products and technology services to numerous sectors of the transportation and logistics industry.